We believe everyone deserves to be treated like a VIP, which is why your experience with us starts with a caring Meet & Greet Team member and a warm smile,” says VIP Attractions CEO Shellyann Fung. This idea is at the core of every aspect of the guest experience at Club Mobay and Club Kingston airport lounges. Whether ensuring no time is wasted in the airport on arrival or enjoying a final pampered moment in the departure lounges before returning home, Club Mobay and Club Kingston offer all the VIP airport services just right for you. For inbound travelers, our VIP Fast Track Service and welcoming arrivals lounge gets you quickly processed and ready to start your visit. 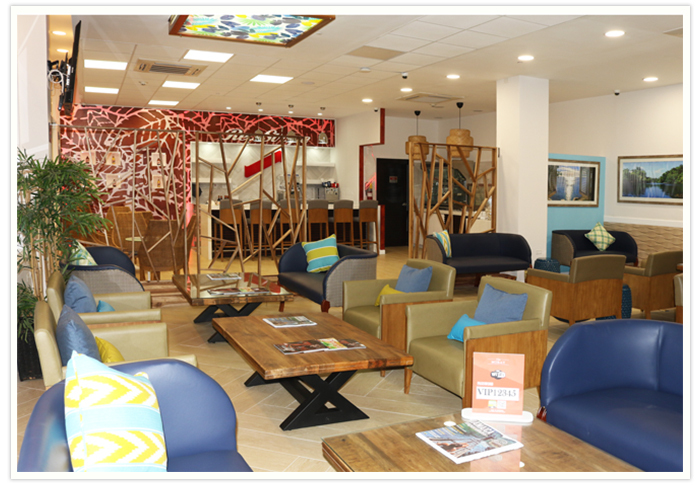 While on departure, our lounges provide a relaxed ambiance with great food, drinks, kids play area (Only available at Club Mobay) and useful business centres, ensuring you get the most out of your last few minutes on the island.